In a bit of a change from my normal subjects of cars and travel, I’m going be posting about my garage build project. 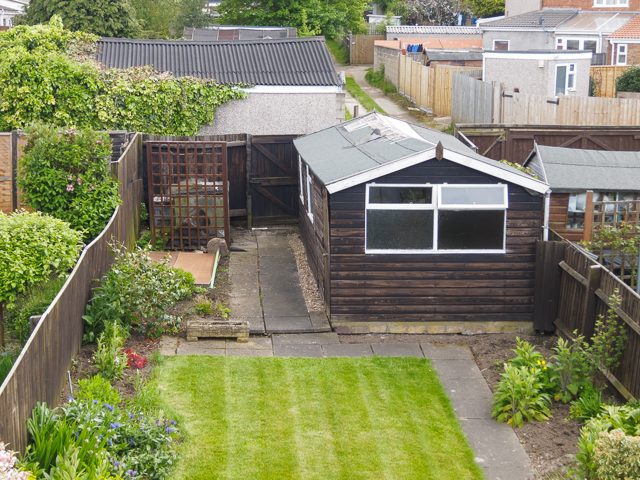 As some of you may know Jen and I have been renovating our house – aka the 119 Project for a few years, but now we have got to the really interesting bit, for me anyway – the garage build! There will be plenty of photographs going up on my 119 Project Flickr album, but I’m also going to add some word on here for the garage build part. The plan is to replace the old wooden garage, which isn’t wide enough for a modern car, with a large single brick build garage, where I can relax and work on my MR2/whatever car I have. This will not be a garage just for storing junk, we will have a shed for that! The old garage is being demolished tomorrow, so watch this space for updates! This entry was posted in 119 Project and tagged Garage build, Photo by Lewis. Bookmark the permalink.